Are you looking to sell your Lakeland house and are not really sure where to start? Maybe you are wondering, "what is my house worth?" The simple answer is this: your house is worth whatever someone else is willing to pay for it. Now, the experts at Focus Realty Group, KW Lakeland, can help you determine what that ideal selling price might be, but there is something you can do right now to ensure you get top dollar value for you house when you come to sell it. Two little words. Clean it. Let's take a car buying experience as an example. You go to two different car lots looking to buy a car. Both dealers have an available car that is the same make, same model and both cars have the same mileage. One dealer washes the cars for sale every day and makes them smell good. The other dealer does not and the inventory on his lot doesn't shine, it doesn't smell good, it doesn't look good. Which car would appear to have the most value? The clean one, right? It's exactly the same when selling your house. If you keep it really clean, like a detailed car, and keep it smelling good, the house has higher perceived value to prospective buyers compared to other homes that are basically the same in all other respects. 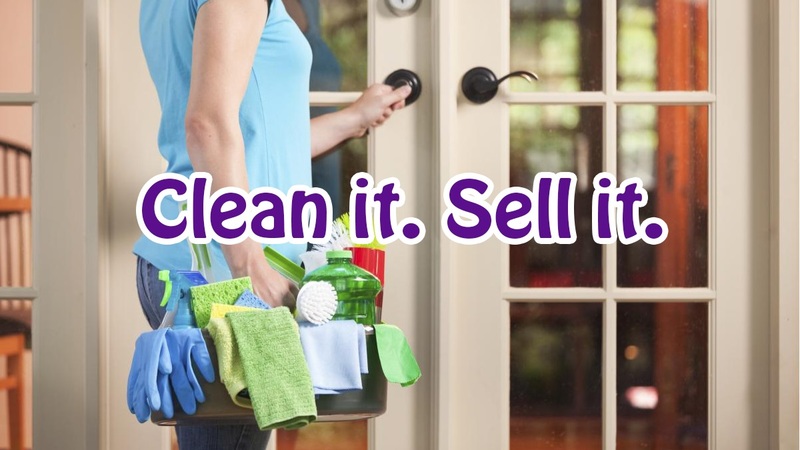 Did you know that there are services to help you declutter, clean, and organize so you can sell your house for top dollar in the shortest amount of time? Some interior design companies have other services just like these to help you. We all have lives to live, jobs to do, families and pets to care for, and these activities take up much of our time and energy. It's okay to get help, and you may be surprised how affordable it all can be. The experts at Focus Realty Group, KW Lakeland can point you in the right direction. I wish I had a crystal ball. I wish the numbers would always ring true and you would get a lot of cash when selling you house. Unfortunately reality can be different. Different online sources may say your house has a certain value, but in reality buyers just aren't wiling to pay that amount. (I read an article that one famous CEO sold his house for 40% less than the online estimate - oops!) Selling your house can be tricky. We can help you navigate the process and you can help by making your house shine! If you are thinking about moving and selling, or you know someone at church or work looking to sell their Lakeland house, please contact us online today, or you can also call or text 863-640-2246 to get started - we would love to help. Happy selling!